Click the red button below to sign up and receive your free welcome story. Before the Ghostly Ghastlys discovered the Old Museum and turned it into the Ghostly Ghastly House, the family lived at the castle above the town. Here’s a story about an adventure the Ghastlys had there. The Mayor has got lost and is in danger. Can the ghost children find her? The story was specially written and illustrated for the Ghostly Ghastly Readers’ Club members. To join click the red button “Sign Me Up and Send My Free Story” above. If you’re under 13 years of age, please ask an adult (a parent, guardian, teacher or other responsible adult) to sign up for you. 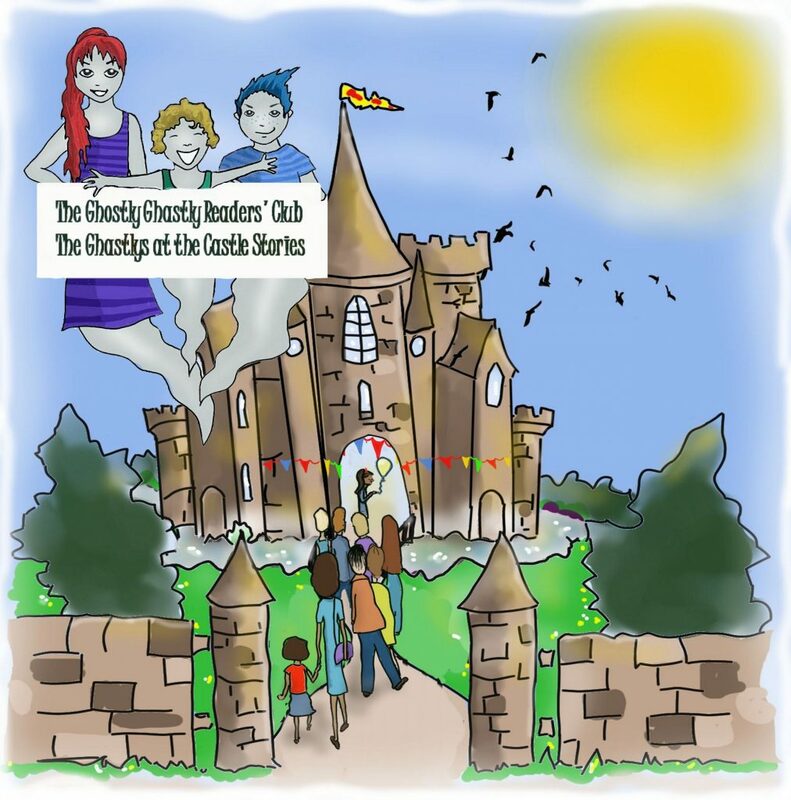 For adults: the club is run by the author who sends out emails every 4-6 weeks usually with a downloadable freebie – a story, illustrations, colouring, chapters, puzzles or other attachments relative to her work.